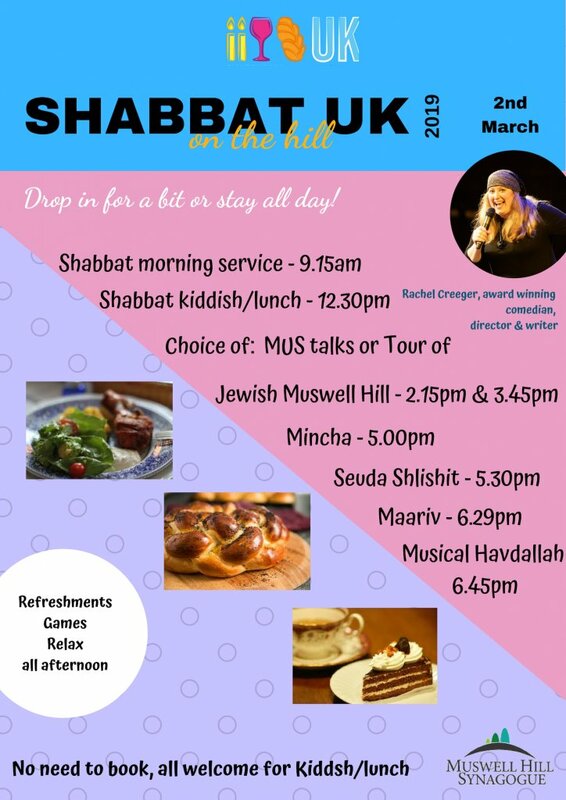 Shabbat UK is back! Please join us for some or all of our programme – details below – when there will be “food for thought” and, of course, food to eat! You’ve watched ‘Ted Talks’ now Muswell Hill brings you them live with our own ‘MUS talks’. ‘The difficulty of thinking clearly’ and ‘Kenya, shul and Me’. Relax over a board game or a nice cuppa!